Apply to hair like hair grease for moisturizing purposes. Massage into scalp for healthy hair growth and scalp problems. 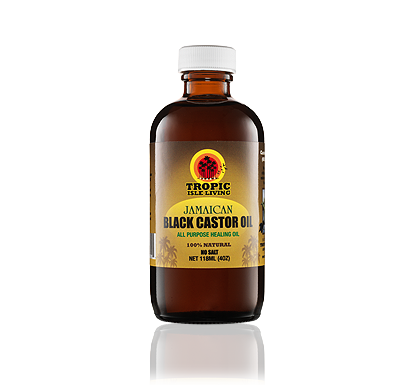 If you have dry, perm and colored hair, add 3 tablespoon black castor oil to your favorite conditioner. It adds extra moisture to your hair and seals it in. Use for hot oil treatments: warm three tablespoon castor oil and massage into hair then put on heating cap for half hour. Or massage 3 table spoons of black castor oil into hair, put on heating cap then go under dryer for 10 minutes.